At the beginning of last year, we wrote about a hit-and-run driver in New Orleans that dragged a man four miles, killing him. That horrific crime has yet to be solved, and the New Orleans police department has reached back out to us for help, armed with some new photos. I hope we can help. 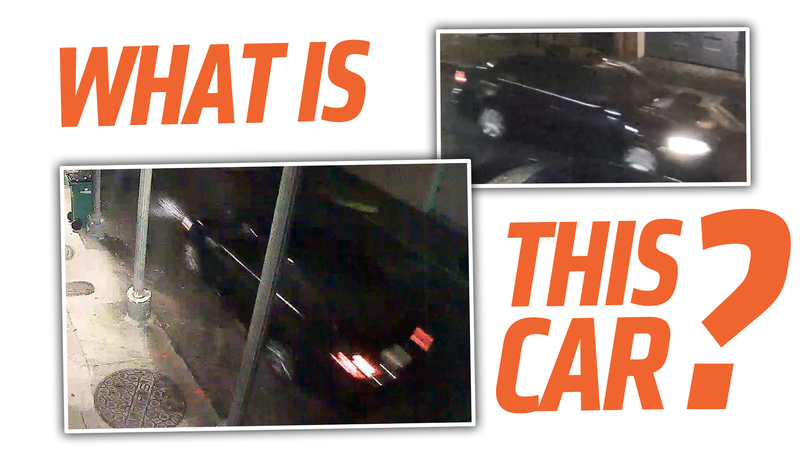 The car is some sort of recent-model dark-colored four-door sedan. We had some good possibilities last time, but in order to avoid any subconscious biases I’m not going to mention any possibilities this time. Some notable details about the above image: the side marker amber reflector/light appears to be mounted at the lower edge of the headlight/indicator unit, and the license plate is trunk instead of bumper-mounted. The taillights appear to be horizontally oriented, divided into what looks like two main parts. Headlamps are long and somewhat teadrop-shaped, with a very straight line on the inner edge of the lamps, flanking where the grille would be. I’m not sure if that notch in the trailing edge of the light is there or part of the glare? It may be a design element, similar to ones used by a few manufacturers. The bulb for the side marker lamp appears to be mounted low in the wraparound taillight housing. Based on this, it looks like the indicator section of the taillight is in the upper, part of the lamp, by the outside edge of the car. These images suggest perhaps a chrome strip under the window line, a CHMSL in the lower rear window, and you can see a distinctive three-red-section taillight illumination pattern, with a long lower strip and two segments above. I know it’s tricky, but if any group of car nerds can help, it’s you. Thanks so much.